This beautiful remodeled house for rent in Keewaydin Meadows Boulder Colorado features a great open floor plan. Fully finished basement with large family room and office. 2 fireplaces, ceiling fans, central air-conditioning, Laundry room. Very well maintained. Inviting exterior. Friendly, quiet street and easy access around town. Walkout patio to fenced-in private landscaped yard with mature trees. Yard has sprinkler system. Walk to East Boulder Rec, nature trails and park. 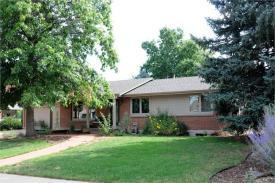 Here are the property details for this home for rent in Keewaydin Meadows Boulder Colorado. Pets: Up to 1 dogs, up to 0 cats. Additional deposit. Parking: Garage 2 car oversized attached garage. This entry was posted in Keewaydin Meadows on August 22, 2014 by Stephanie Iannone.